The FBI’s Biometric Center of Excellence (BCOE) has decided to start tracking tattoos as a biometric identifier, reports MSNBC. The information will be added to the center, which already creates and improves biometric databases. 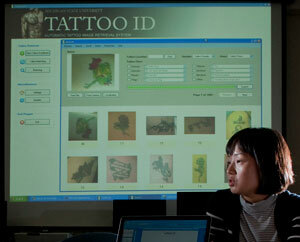 In order to gather its information, the center reached out to academia, industry and law enforcement seeking currently existing databases of tattoo and symbol images, what they mean and if they are affiliated with any gangs, terrorist groups or other criminal organizations. MSNBC believes this information could help the BCOE in its efforts to build “multimodal biometric search capability” and build relationships to have access to more databases of biometric worldwide.